The fast-growing market for silencers is outpacing sales for the guns they attach to. The civilian market for silencers soared 37% in 2013, when the total number shot up to nearly a half a million, according to the Bureau of Alcohol, Tobacco, Firearms and Explosives registry. That's compared to 360,000 in 2012 and 285,000 in 2011. Silencers are so popular that there's a nine-month wait to have a registration approved by the ATF, according to Ben Shim, a certified firearms instructor and gun industry analyst with CRT Capital Group in Stamford, Conn.
"People have gone crazy buying guns, but they're done buying them for the time being, so they're buying accessories," Shim said. Many gun owners rushed to buy assault rifles after the Newtown massacre, fearing that a weapons ban would be enacted. Now, Shim says, those owners are customizing their guns with "a dizzying array of accessories." Add-ons include silencers, flashlights, laser scopes, stocks, pistol grips and rail systems for attaching even more accessories. "The AR-15 weapons platform is very modular," said Shim, referring to a type of rifle used by the U.S. military. "It's like Barbie for men." Silencers attach to the end of a gun barrel and can be used with a variety of handguns and rifles. 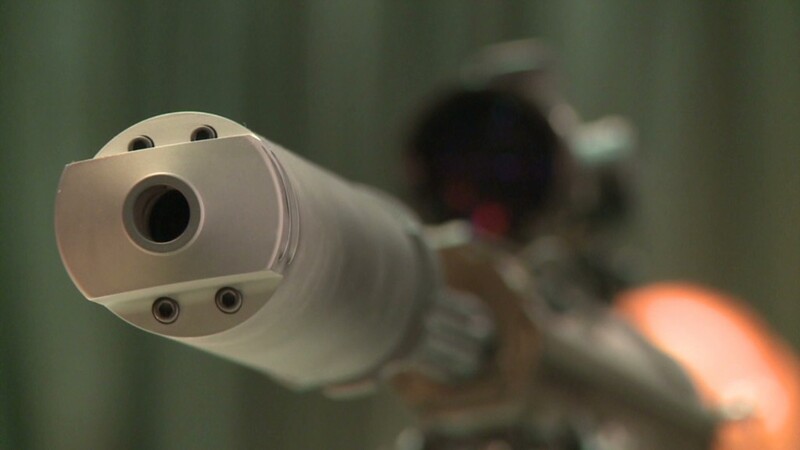 They are more accurately referred to as suppressors, since "the noise of a chambered round being fired is never silent, only suppressed or dampened," said gun industry analyst Brian Rafn of Morgan Dempsey Capital Management in Milwaukee. The popularity of suppressors is driven in part by the value they offer to hunters, said Rafn, because they "give the hunter multiple shots without frightening the game." ATF special agent Tim Graden said that silencers are categorized as firearms by the federal government, even though the silencer itself can't fire a bullet. The basic background check for most guns requires the purchaser to present a photo ID to the retailer and electronically submit a form to the ATF. Approval usually takes about 20 minutes. But purchasing a silencer requires the applicant to mail or Fax a photo and fingerprints to the ATF and to pay a $200 tax, with the approval process taking nine or 10 months. That's because silencers are regulated by the National Firearms Act, which was passed in 1934 in response to gang violence, according to the ATF. But they're still legal in 39 states, including 29 states where they're permitted for hunting, according to the American Silencer Association. "Most people just don't know you can buy one," said Jason Schauble, chief finance officer for SilencerCo in West Valley City, Utah. "We have a whole campaign called 'silencers are legal'." Advanced Armament Corp. of Lawrenceville, Ga., uses the slogan "Silencing is not a crime." Suppressors are so expensive that they can cost more than the guns they're attached to. SilencerCo sells its least expensive suppressor, the Harvester for hunting rifles, for $750. 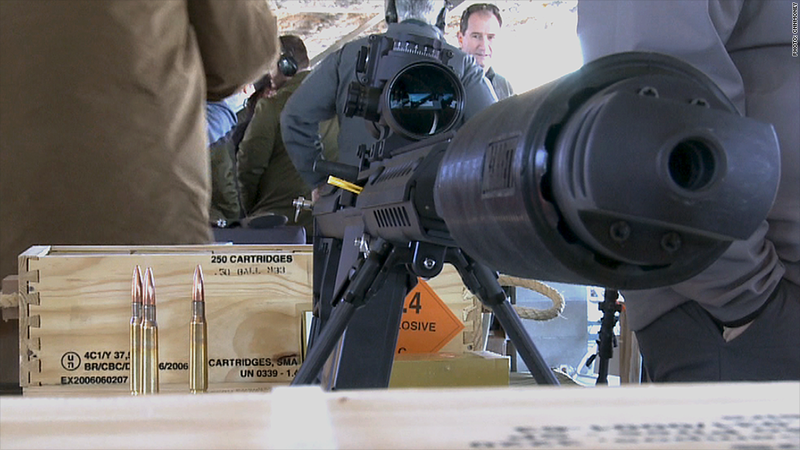 Its most expensive suppressor, the Saker, goes for $1,300. Suppressors are for "the graduate-level gun buyer," said Schauble, a veteran of the Iraq war and the former Chief Executive Officer of TrackingPoint, a Texas-based maker of smartscope rifles that cost more than $20,000. "I owned 50 guns before I bought my first silencer," he said.